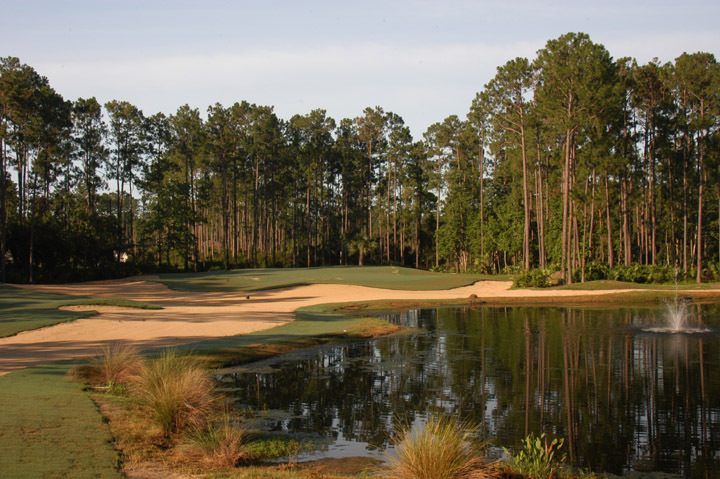 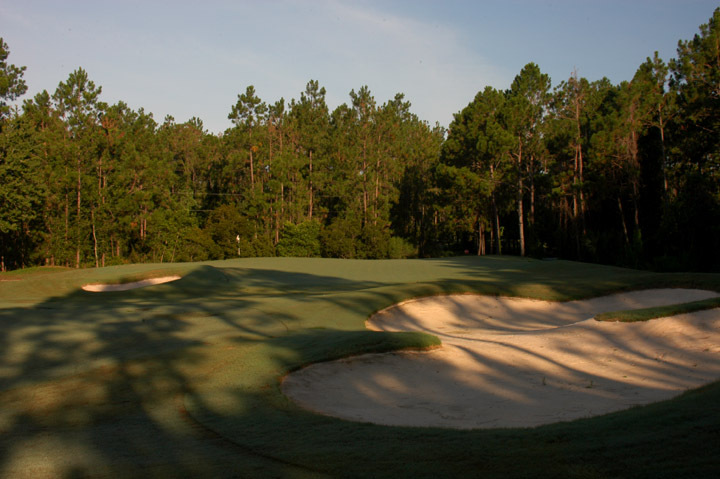 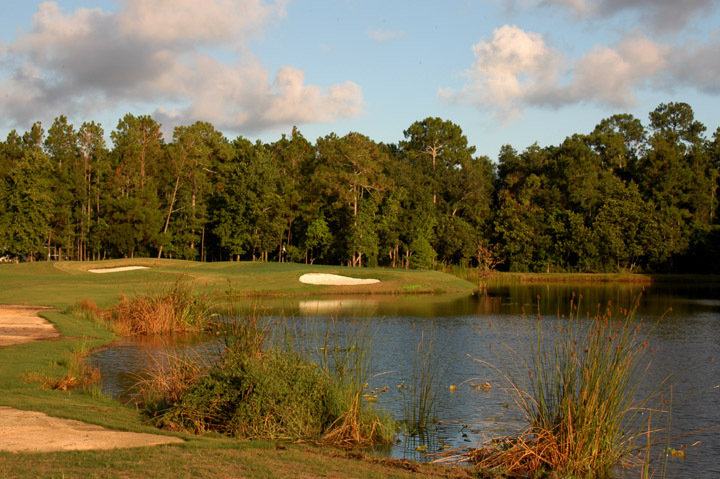 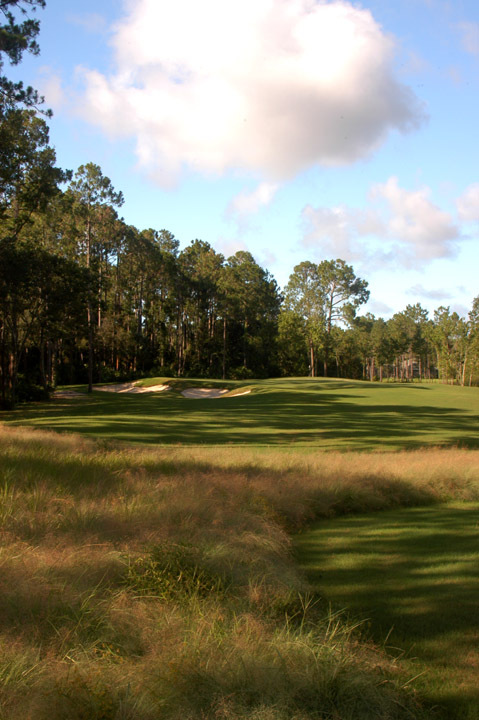 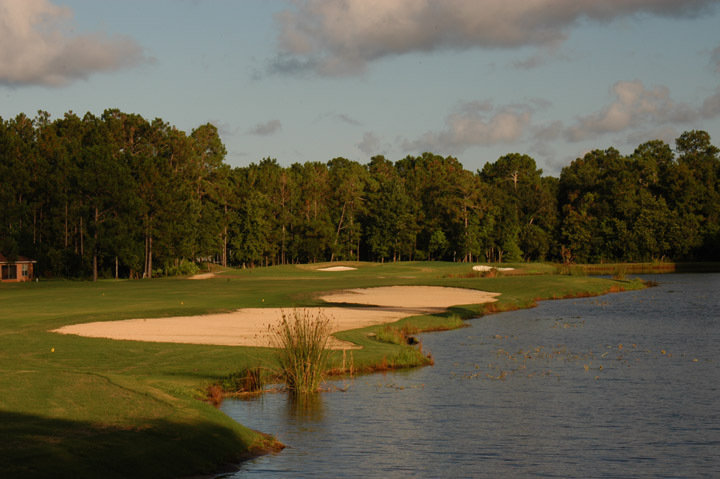 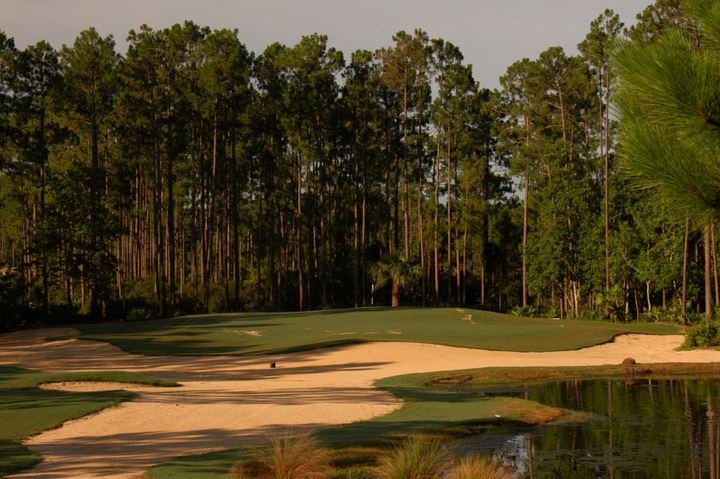 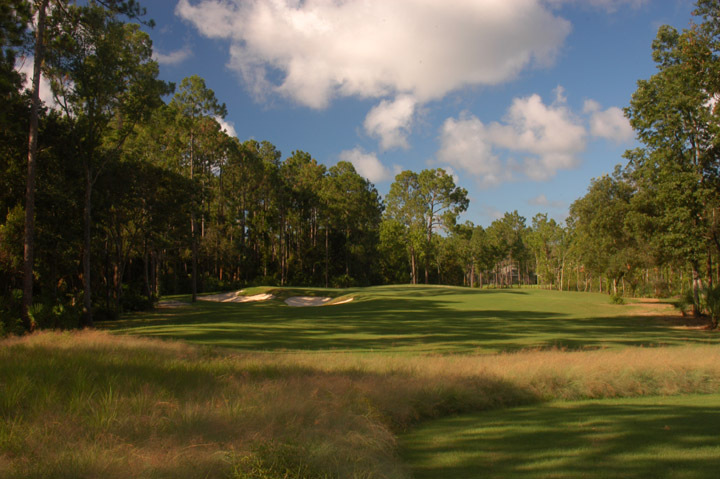 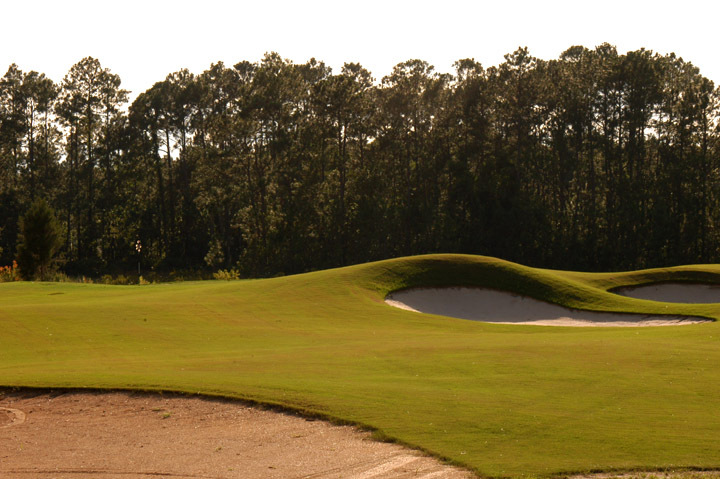 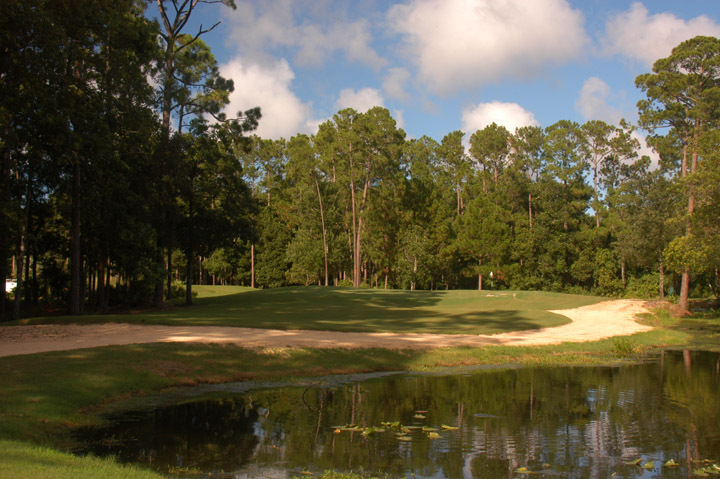 Caddie's Summary: A Hampton Golf Club Facility, Cypress Knoll is looking great. 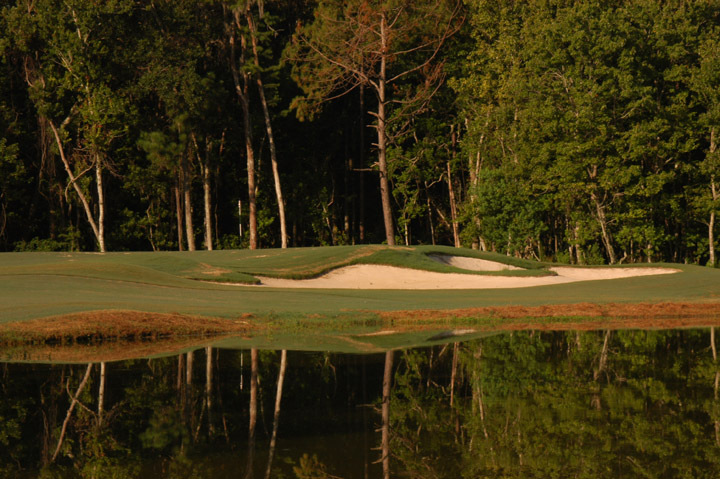 The Hampton community is going to love this newly designed course. 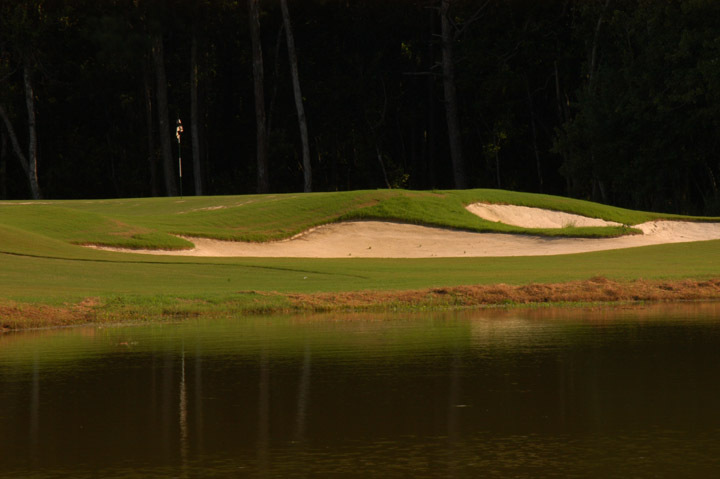 The greens have been completely altered, as well as, basically, the entire layout. 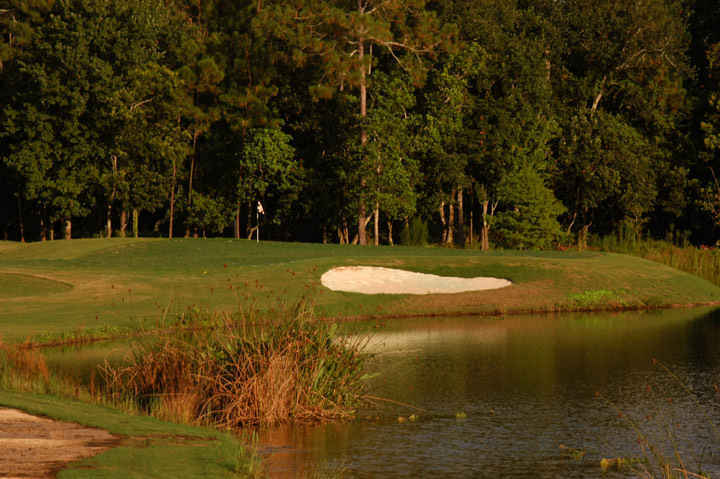 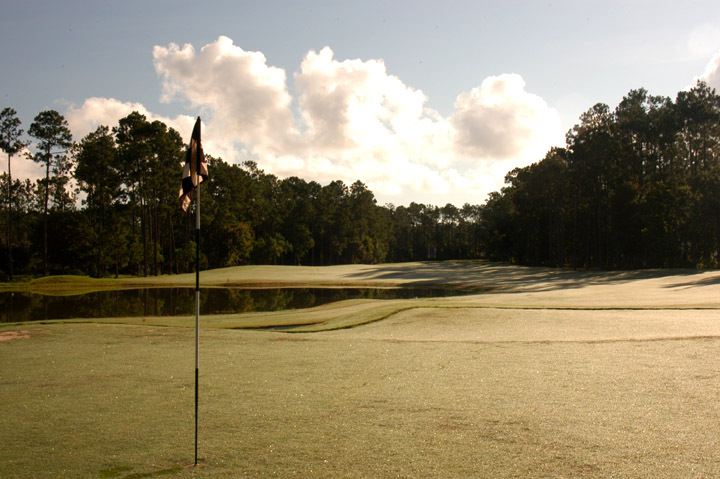 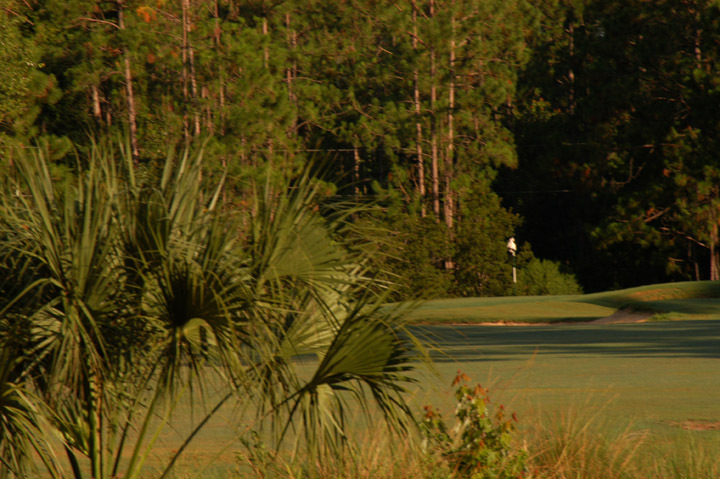 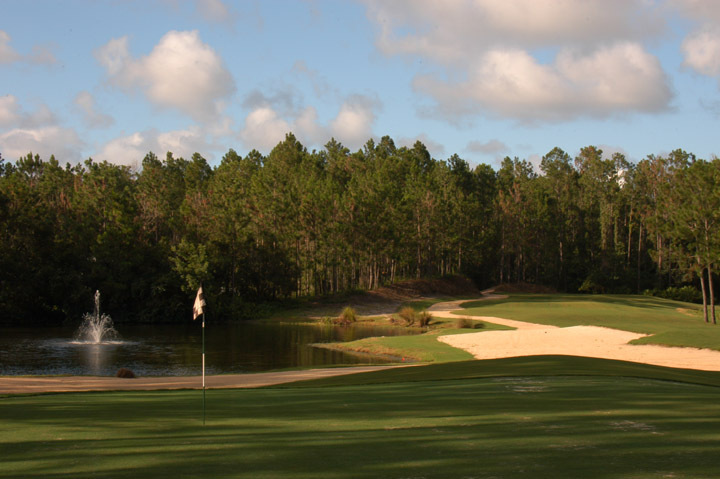 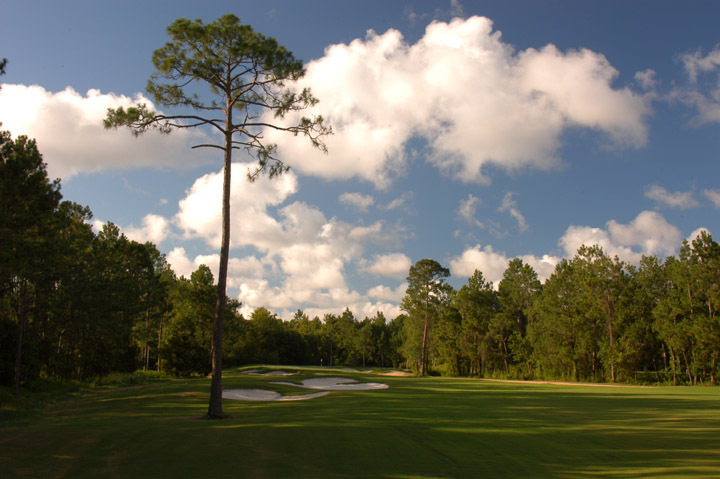 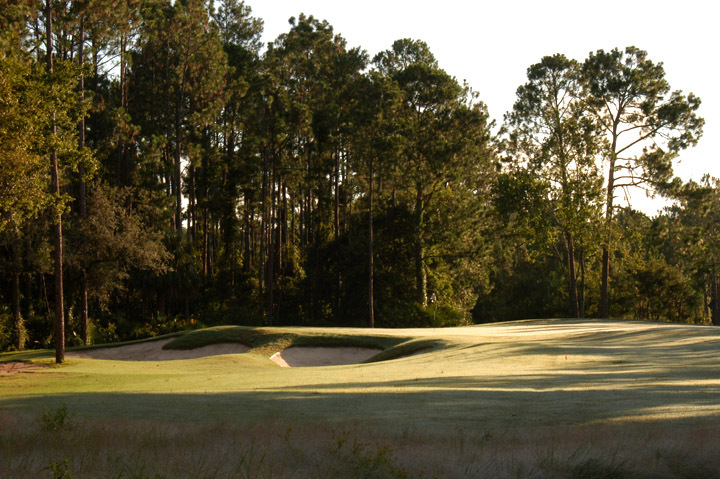 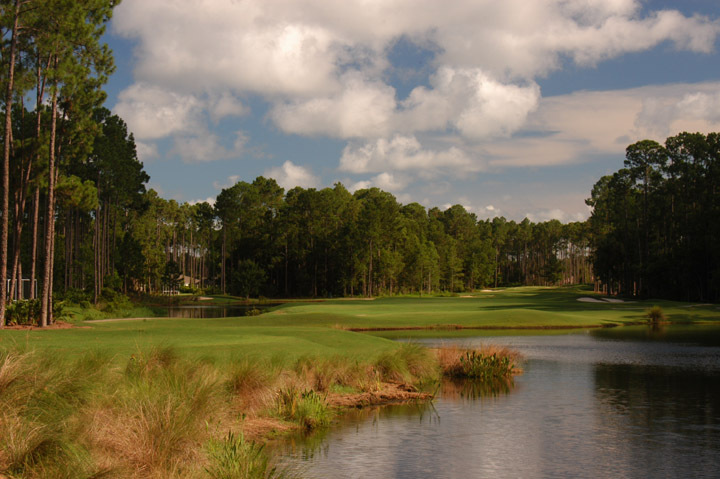 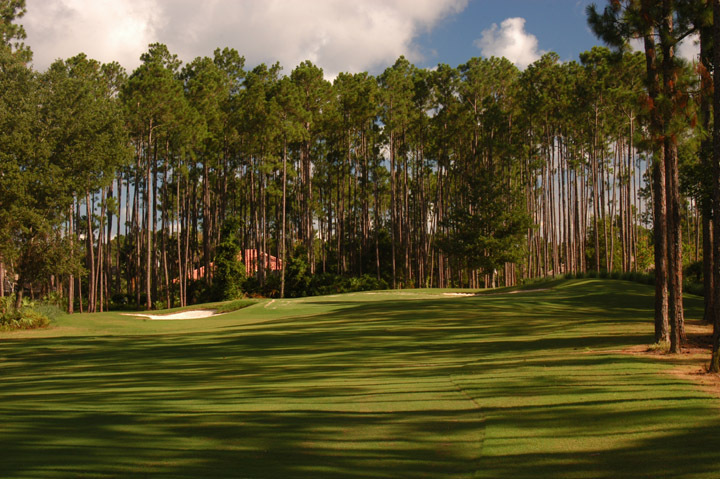 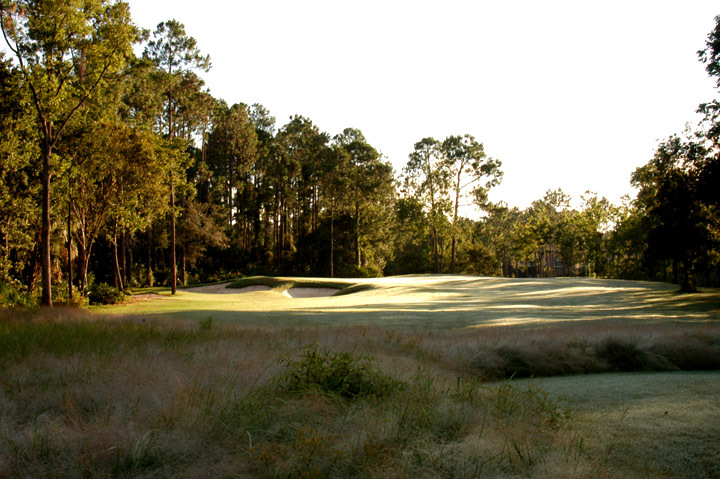 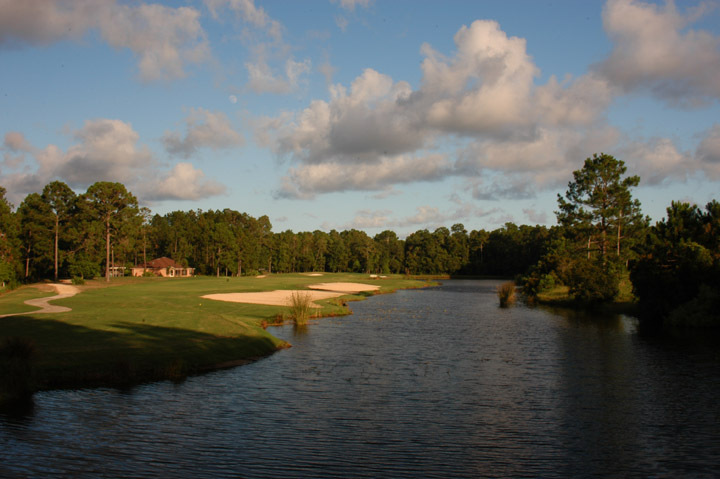 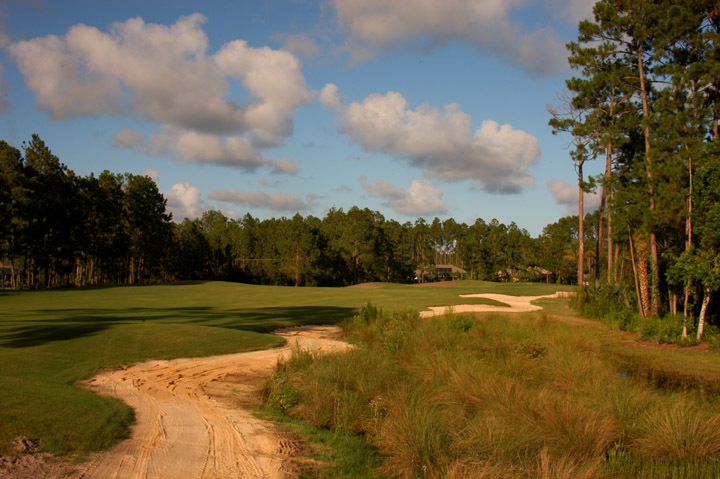 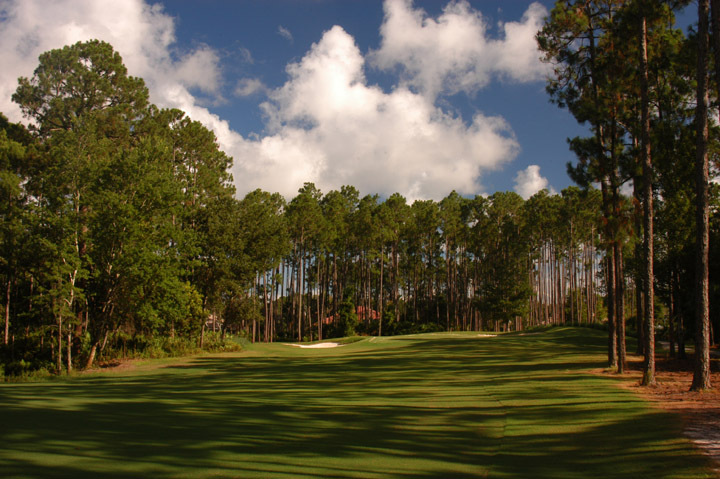 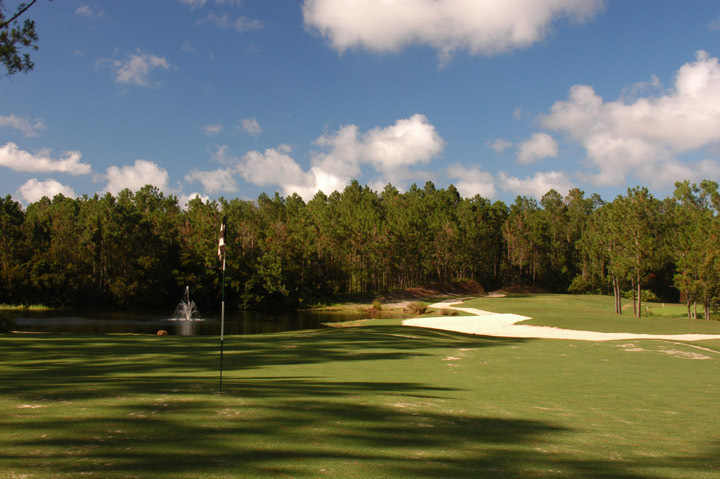 Deeply swelled greens and huge pines add to the scenic beauty and challenge of the golf course. 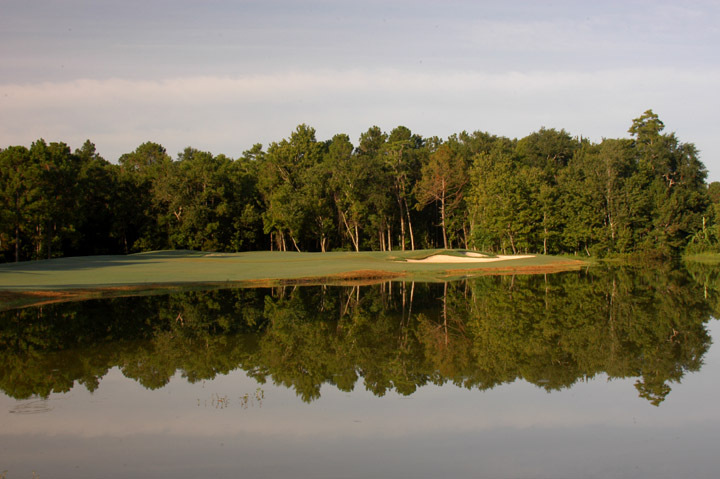 Water is in play on at least six holes with fairways angling around or running along-side. 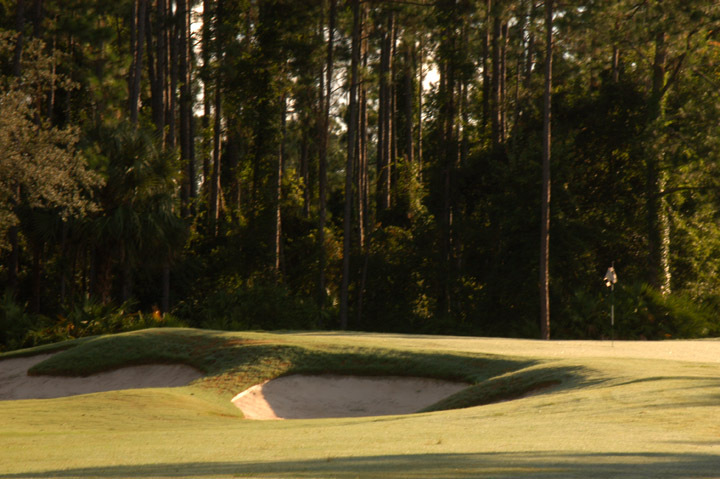 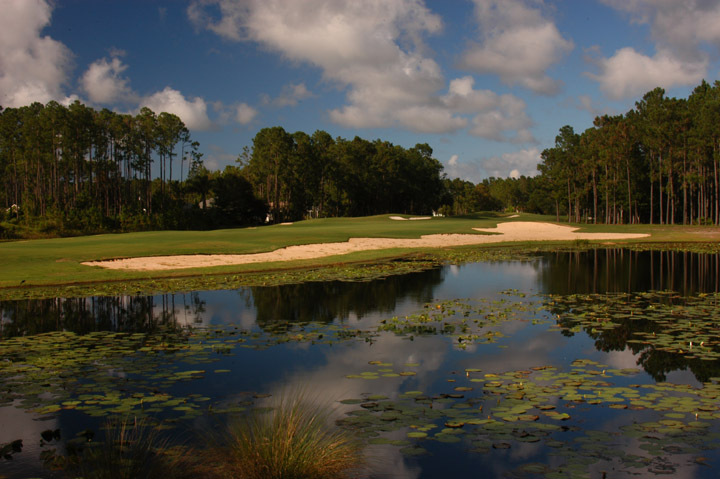 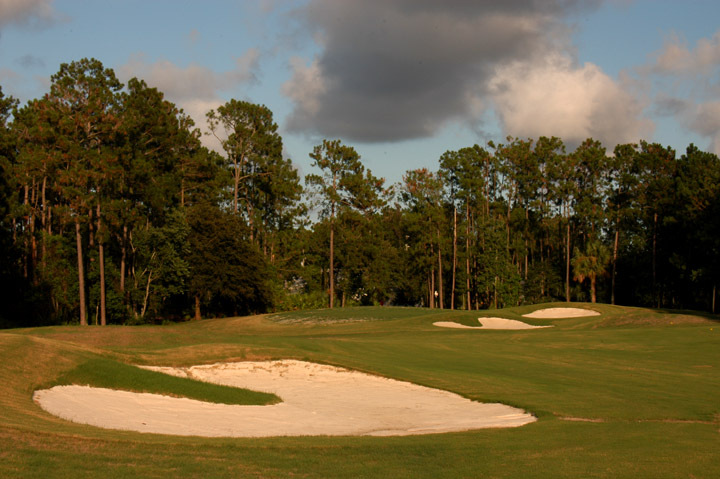 Coquina waste bunkers are everywhere and contribute to the landscape and difficulty of play. 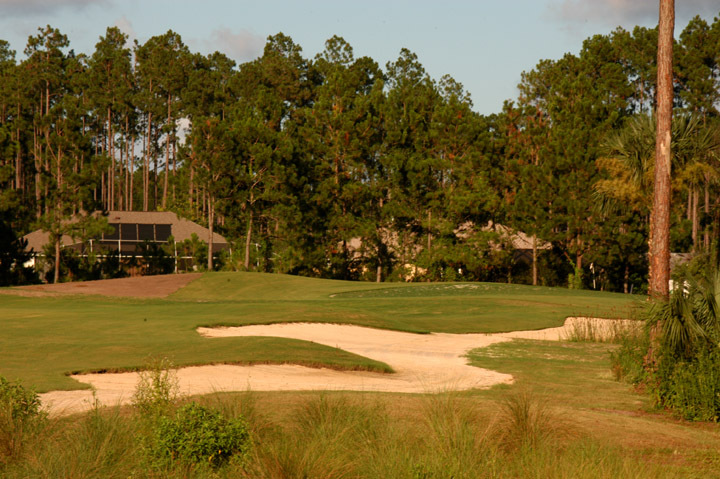 Homes around the course are mostly well hidden behind mature tree growth and many of the holes seem completely isolated from all civilization. 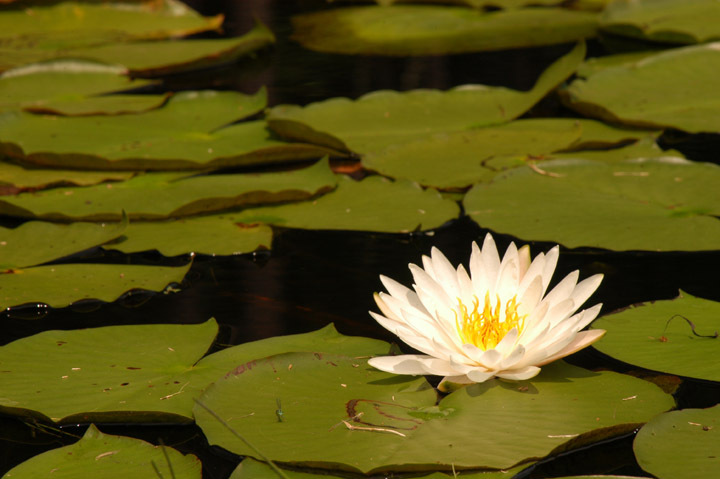 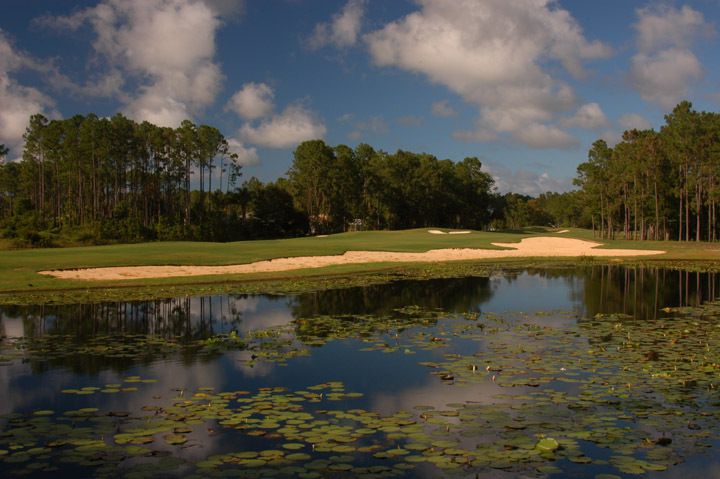 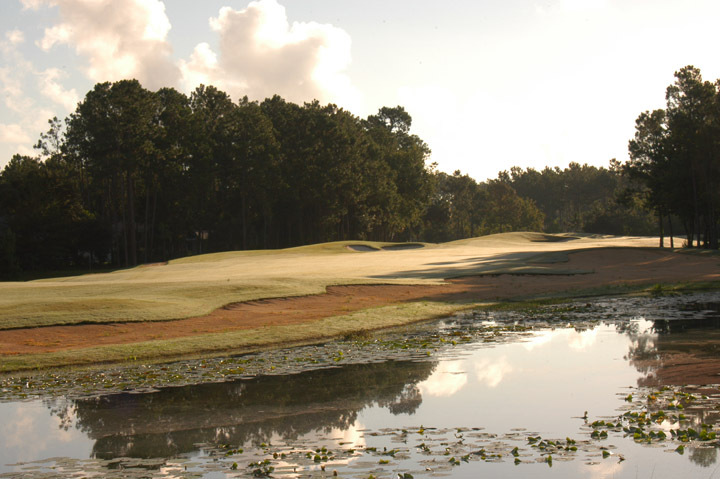 Gators and thousands of lily pads are abundantly spread along the water spots and angel grass and pompass grass also give this golf course design a lot of flavor. 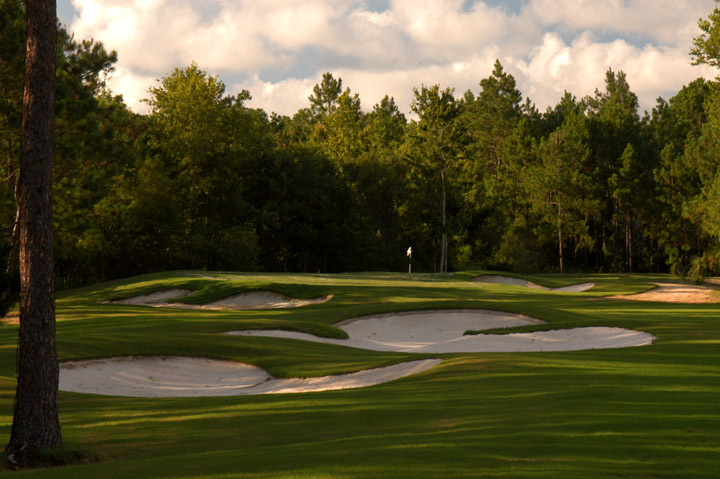 Hampton members are in for a great treat on this renovation.